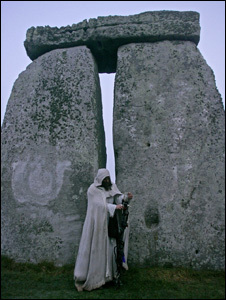 Wiltshire is a county of history and mystery set in a dramatic landscape. The combination of heritage and scenery provides a truly memorable day out. So come with us on a journey through the countryside and across the ages as we go back to the time of our prehistoric ancestors. Hundreds of thousands of years may have passed but all over the county there’s evidence of human activity from the end of the Ice Age through the Stone, Bronze and Iron Ages right up to the invasion of the Romans in AD43. This driving tour will take you through the heart of Wiltshire. En route you’ll discover more about how our enigmatic and mysterious ancestors lived, worked, fought and died. This tour can be undertaken in a variety of ways; as a day-long journey, in short sections or you can use the information as a guide to individual visits. You might also consider embarking on the tour using public transport but keeping up to date with bus service and timetable changes will require plenty of preparation. This guide has been produced with the generous assistance of Phil Harding, Wessex Archaeology, English Heritage, Wiltshire Council Archaeology Service, Bob Clarke, Martin Kellett, David Dawson and the Wiltshire Heritage Museum in Devizes.